Everybody duck! 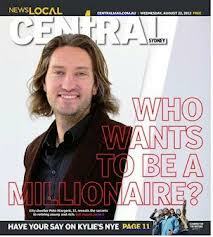 A property spruiker has taken exception to Philip Soos’ panoramic chart pack of Australian property values. Cripes! Pete Wargent is an investment advisor and auto-publicist who operates toward the breathless end of the investment spectrum. His new book Get a Financial Grip – a simple plan for financial freedom is just out. I hope for the sake of his readers it is more coherent than his critique of Philip Soos. Wargent alleges: “Soos does indeed have an agenda: he planned to be the chap behind the so-termed ‘Buyers Strike’ which was the brainchild of Prosper and was proposed to the activist group Get Up”. The ‘Don’t Buy Now!’ campaign was conceived in March 2011, the brainchild of Karl Fitzgerald and David Collyer. The call was independently turned into a GetUp! petition by blogger Bullion Baron, where it took off like wild-fire. Philip Soos joined the campaign in August 2011, contributing construction versus sales data. Wargent later claims price earnings ratios apply to the sharemarket, but somehow not to property. Lay that little fudge before a property valuer and watch her shred your credibility, Mr Investment Advisor. The data assembled by Philip Soos is beyond question and explicit on this point: private debt has exploded to record levels and recent credit aggregates show Australians disleveraging with surprising vigor. 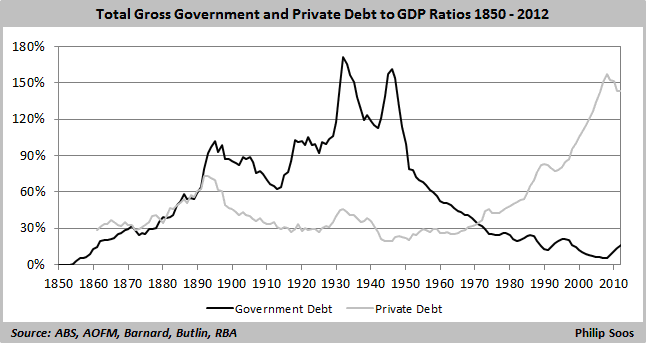 And no, Barnaby Joyce, we do not have a government debt problem. While many citizens have no borrowings, a lot of those that do carry eye-watering burdens that will likely only be resolved by capitulation. That’s a polite word for bankruptcy. Never mind this is exactly what the Don’t Buy Now! campaign has been arguing. The current disconnect between prices and rents make renting an absolute once-in-a-lifetime bargain. A skilled investment advisor should recognise this and be recommending clients stand aside from property investment, energetically build their equity, protect their credit rating and await the reset. If you find yourself attending auctions clutching a fully-charged dog-eared cheque book, the Soos datapack will quickly reconnect you to reality. Another Henry Kaye by the look of it.